Take a touch of the tropics home with you. Bold textures, often intoxicating fragrance & bright colors are just a few of their charms. 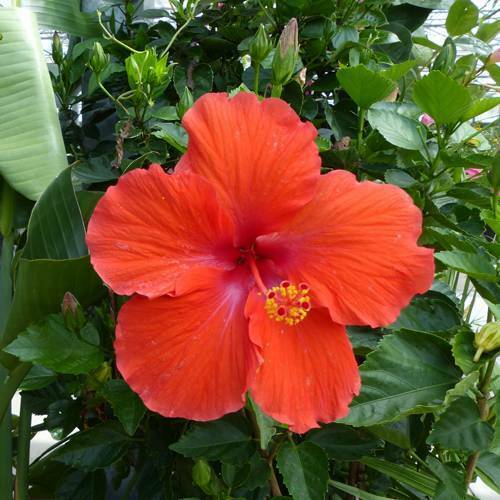 But tropicals aren’t just for show; they actually make your home’s air more pure. We’ve travelled to Florida to meet with our growers and have a direct line of access to our plants’ origins. This attention to detail helps us ensure better availability and the highest quality. From Kimberly Queen Ferns & Mandevillas to Pitcher Plants, Bird’s Nest Ferns & Dipladenia, chances are excellent that you’ll find a new housemate.